A recent visitor to Anandanagar said: “One can feel the power of this sleeping beauty”. Anandanagar is slowly coming to new life as the existing projects are joined by new ones sprouting up. Work has resumed on the Cakradhurii Building, the global headquarters of Ananda Marga Gurukula. The trees that were planted many years ago have grown up around the perimeter of this impressive structure. The outer circle is 70% complete and the first floor, 60% complete. Funds are needed and welcome for the remaining construction. An accredited Bachelor’s of Education program is underway at Anandanagar with the necessary legal applications already filed. Classes are scheduled to begin in June 2012. The program will be recognized by the UGC (University Grants Commission of India). 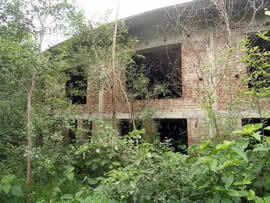 It will be part of the existing Ananda Marga College, but will be housed in its own buildings. 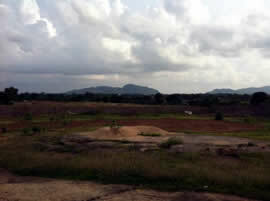 Construction of the campus has already begun. Dr. Andal Dharani from Australia has joined the board to help develop the program of the new college. Professor Dinkar Dixit recently made a visit to the new college and offered his assistance as well. A Medicinal Plants Research Center has been newly started at Uttar, Anandanagar. The Music College for Women at Anandanagar is housed in a beautiful structure designed and built by Didi Aradhana. It has gained the name “hawa-mahal” which means (airy mansion) as it is so airy and the cross ventilation is excellent. Didi Ananda Gayatrii is in charge of the College and also runs a Children’s Home. 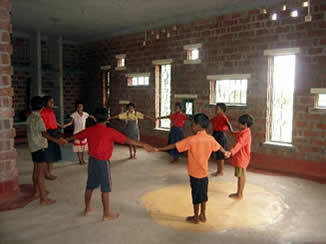 The children from the home attend art and singing classes every weekend at the College.